Gone are the days where you clock in, stay in your cubicle and clock out. Dynamic environments call for adaptable seating that rolls with the punches. Sit On It’s Wit family does exactly that. Because this is a design inspired by truths about how people work. JSI Furniture BeSpace: Be where you want to be. JSI Furniture’s BeSpace lets you “be” where you want to be. 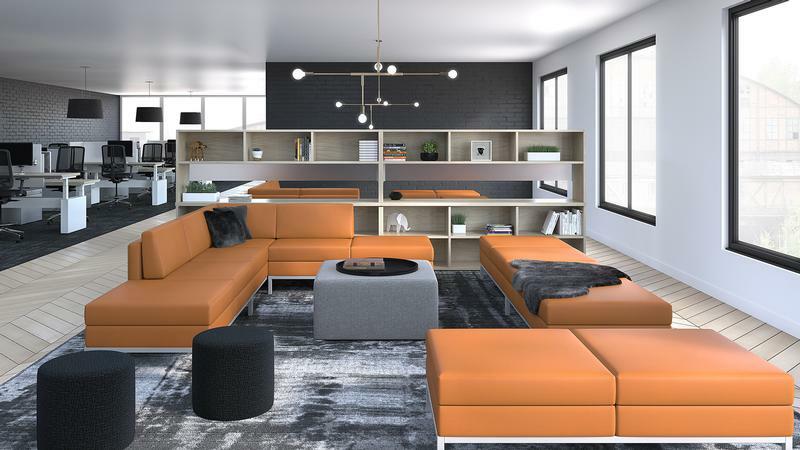 Lounge seating and casework creates an eye-catching, dramatic presence with molded plywood, exposed edges, thoughtful upholstery, and organic beauty. Native is full of touches that seamlessly fit together. Like modern design and industrial finishes. Clean lines and integrated technology. And pieces that work together, from the table to the storage. IDEON Design: Introducing Paséa from SitOnIt Seating on Vimeo. December 24th, 25th, 31st and January 1st. We thank you and apologize for any inconvenience. Have a safe and wonderful holiday season with friends and family! Thirty nine years ago, my brother Bill and I started Commercial Furniture services, Inc. We have had the good fortune to have worked with over 800 people in our company – all who have helped build CFS into what it is today. Thanks to one and all who have helped us service our clients and our community during the last 39 years – I think that we have truly made a difference in many peoples’ lives and we have done some exceptional work. Here’s to continuing what we have started. Rick Greywitt, Lori Frederickson, Karl Schimmel, Anne Deardorff, Chris Bazan, Bill Wallace, Jim Good, April Nascene, Eric Fantin. Todd Pommerening, Dave Craig, Rick Kocon, Tom Harris, Mark Larue, Brian Kempton, Tom Stenberg, Dennis Corcoran, John Seiberlich, Sharon Doelz, Keren Turner -Johnson, Brian Kanne, Kim Gall, Kasey Hellman and Lisa Willing – you are the backbone of CFS. And, great thanks as well to all of the rest of our employees and sub-contractors who have been and are in this journey with us. And, most importantly, to all of our customers who entrusted us to help service their employees and facilities to enable them to do their work more efficiently. And last, to our vendor partners who have provided the products and services that enable us to provide wonderful experiences for our clients – thanks for coming through for us year after year – you have made a difference for CFS and our clients. Our thanks and gratitude go out to one and all who have been partners with us over the past 39 years – may we have another 39 years in the company of more great partners! Canvas Vista is a system of desks with a clever design that trims the size of workstations, freeing up space for more people or diverse settings. By using every square inch smartly, it provides compression without compromise. Commercial Furniture Services will be closed for Thanksgiving day. Open again Friday, November 23rd at 8am. 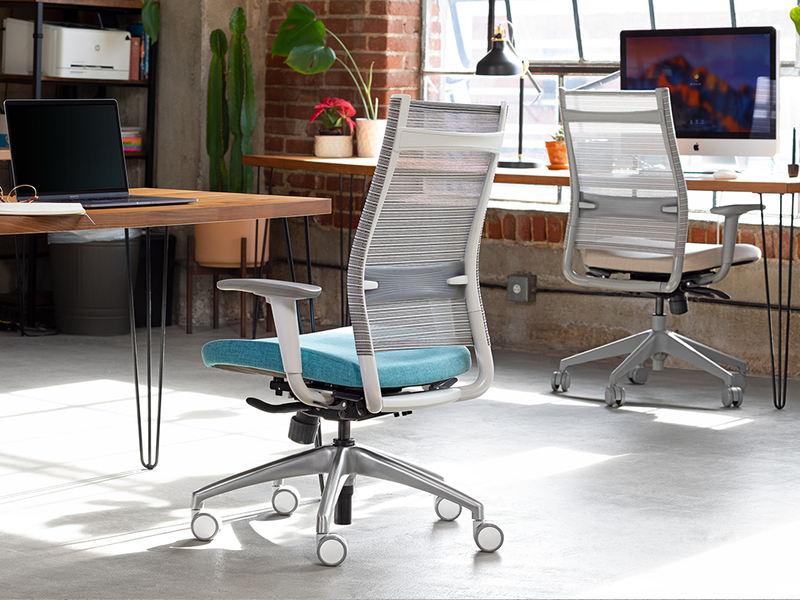 Gear Patrol recently reviewed the chair and included how it’s lack of adjustments is just what’s needed now. Please contact Commercial Furniture Services for a sit test at 952-915-6683. Or, stop by and visit us: 4301 Highway 7, St. Louis Park, MN 55416.